Cassandra finally has her magical ring back, and must now find and banish a mysterious demon that has come to our world! 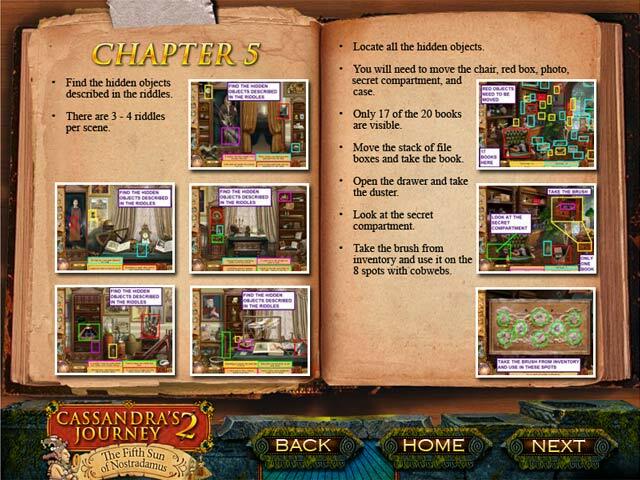 Use our Strategy Guide to learn new magical spells and help Violet find her missing brother, Michael. 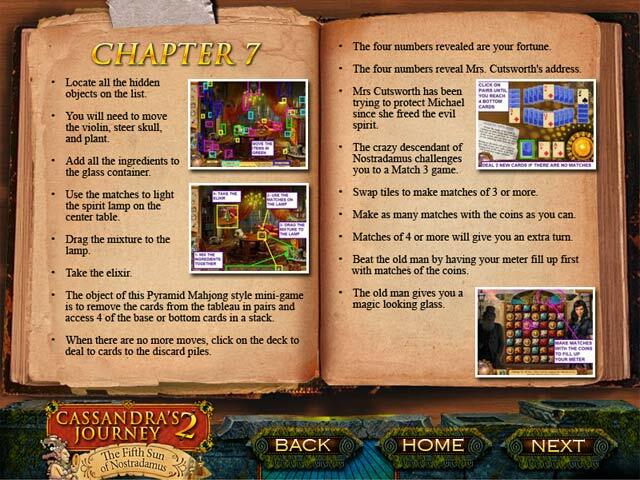 Cassandra’s Journey 2 – The Fifth Sun of Nostradamus will test all of your Hidden Object talents with unique gameplay and magical minigames! Banish the demon and save the world from evil!